Sheherbano belongs to Haji Talib Bijoro, a small village in Thatta district, Sindh, Pakistan. At just 18 years of age, Sheherbano has already been working as an information secretary in her village, facilitating various NGOs who work with the community there. Passionate about working towards the betterment of her village, she spoke about her participation in the recently held three-day disaster risk reduction (DRR) training. “In the beginning when Community World Service Asia came to our village, they discussed how they were going to work with us for the betterment of our community and our village. We learnt so many things about fires, storms, floods and earthquakes. They informed us about the different measures we could undertake to keep ourselves safe during floods and fires,” she said. 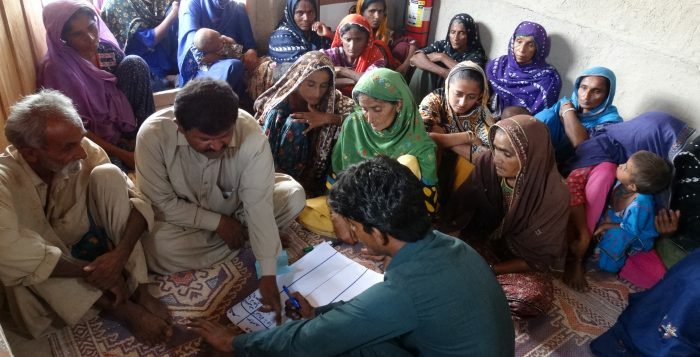 Talking about the precautionary measures to take during disasters, Sheherbano said that while she and her fellow villagers were previously unaware and uninterested, participation in the training had changed their perspective and they had become interested in learning about preventative measures. “In case of a flood, as soon as we hear about it on the radio news, we should take the elderly and the children of our village to a safer place. I also learnt that we should keep our valuables with ourselves and in case of an emergency, we should find a place which is above the ground level to keep ourselves safe,” she added. Sheherbano is eager to spread this knowledge with her family and friends in neighbouring villages as well. She said that weddings or other village ceremonies are good opportunities for her to tell her friends about her learning at the training conducted by Community World Service Asia staff in Haji Talib Bijoro. 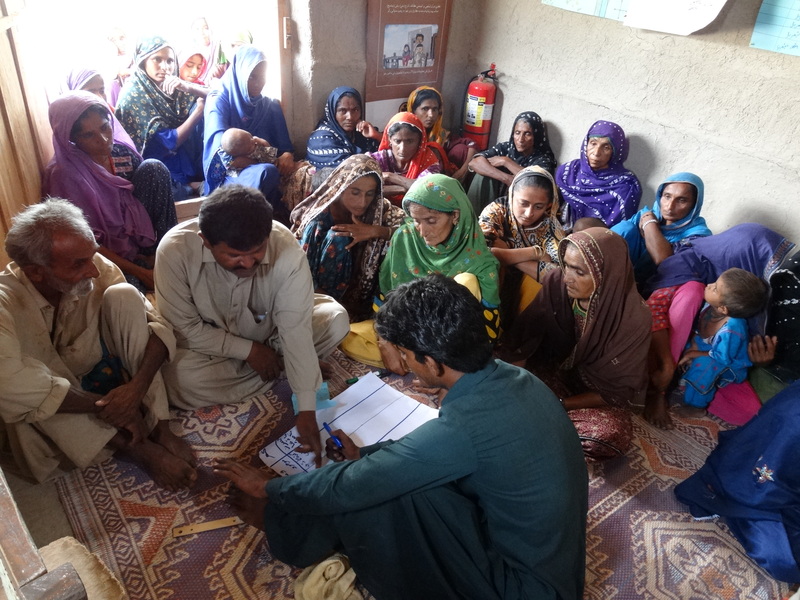 When a fellow villager told Sheherbano about a fire that broke out in their village, she shared her knowledge on the actions and precautionary measures one should take as she had learnt during the DRR trainings. She shared the causes behind fires breaking out and spreading fast and how to effectively and immediately contain it with her neighbours and community members.